Enjoy the trails, and thank you for your cooperation. Woodland trails are open year round during daylight hours unless otherwise posted. Manitoga reminds you to take care on our trails and that all hiking is at your own risk. Public Entrance: Manitoga, 584 Route 9D, Garrison, NY 10524. Manitoga's trails begin at the edge of Mary’s Meadow across the knoll from Visitor/Guide House. Attention Hiking Groups: We welcome you to use the trails, but please notify Landscape Manager Emily Phillips at ephillips@visitmanitoga.org in advance of your visit so parking can be arranged. 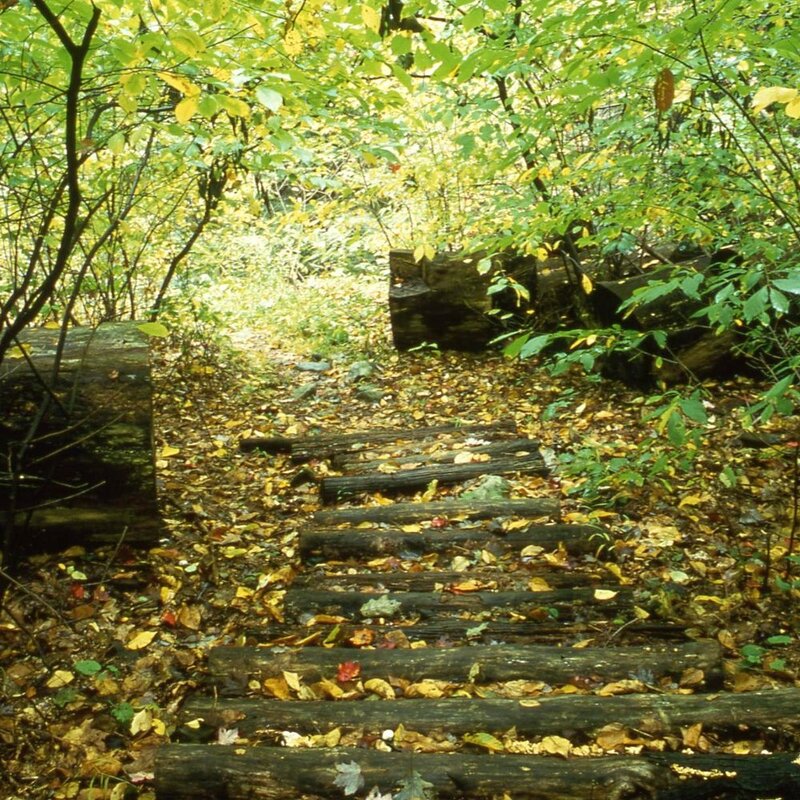 The trails offer opportunities for moderate loop hikes of varying distances on the west facing slopes as well as access to extended hiking on the Osborn Loop Trail and Appalachian Trail in the adjacent Hudson Highlands State Park. In the summer there are pocket views of the Hudson River. These are called “osios” at Manitoga, from the language of the Algonquins. Three trail loops, named for an historic trail segment, story, or event unique to that loop are marked with blue, red, or white markers. The trails are co-aligned, following a single path from the start, with the Wickopee Trail Loop (Red) first peeling off to a short inner loop; then the White Pine Trail Loop (White): and finally, the Lost Pond Trail Loop (Blue) extending up the hill to an elevation of 650’ (400’ above the start). Loops reunite at Four Corners and are co-aligned for the descent to the meadow origin. In keeping with Wright’s original plan, all his trails were designed to be hiked in one direction; trail blazes reinforce that intention by being single colored in one direction, and the same color but with a black dot in the reverse direction. PLEASE NOTE: The House & Studio are visible by guided tour only. For more information please visit the PUBLIC TOURS page. DOG POLICY: Manitoga has observed and determined that dogs, even on leash, threaten the character of the designed landscape. Stepping stones through fern meadows, moss carpets, and ephemeral pools that provide habitat for sensitive species are vulnerable to dog traffic and waste. To fully respect and contemplate the design and nature of the trails, please leave your pets at home. PICNICKING: You are welcome to picnic while hiking but please carry in-carry out. Please help keep the paths clean. DEER MANAGEMENT PROGRAM: To control deer over-browsing, bow hunting will take place in the woodland landscape October through December by members of the Garrison Fish and Game Club. All other hunting is prohibited. Please direct any question or concerns to Manitoga Landscape Manager, Emily Phillips at ephillips@visitmanitoga.org or 845 424 3812. All trails will remain open to the public. 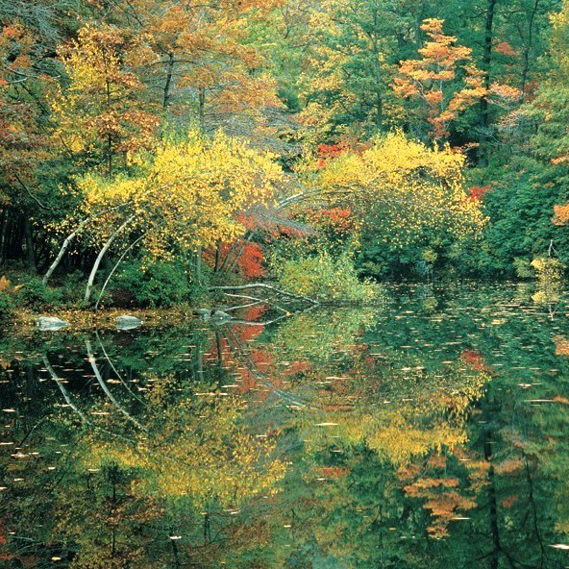 In 2016, Open Space Institute and Manitoga worked in partnership to guarantee the protection the of the trail network designed by Russel Wright. 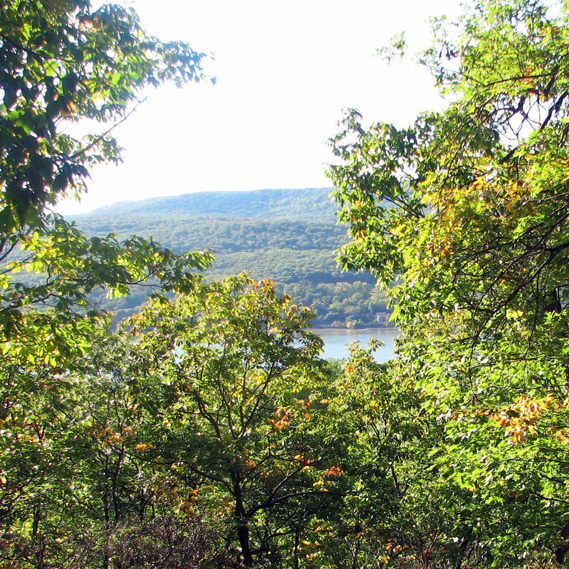 The agreement guarantees permanent public access to Manitoga’s scenic footpaths while protecting a key access point to the Appalachian Trail through the adjacent Hudson Highlands State Park. 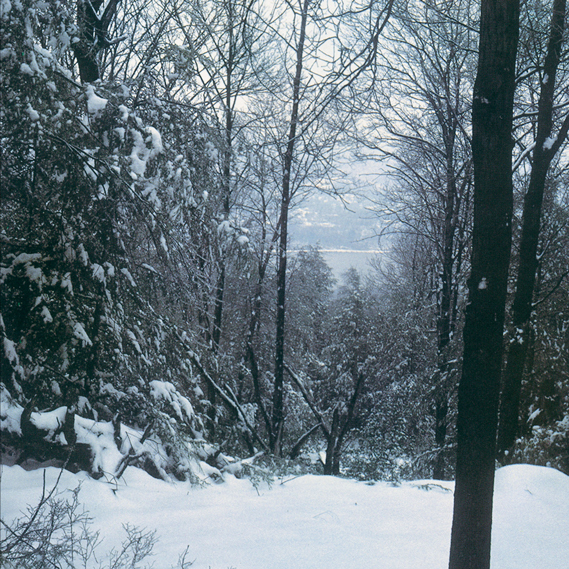 Manitoga's trails were adopted by the NY/NJ Trail Conference in 2014. An interpretive Visitor's kiosk, new trail signs and restoration of stone work and other landscape features have been funded in part through grants from Open Space Institute's Malcolm Gordon Charitable Fund. Manitoga is grateful to The Jolly Rovers Trail Crew for their ongoing work to restore the stonework along the trail network as a part of their Stewards of Stonework Program.